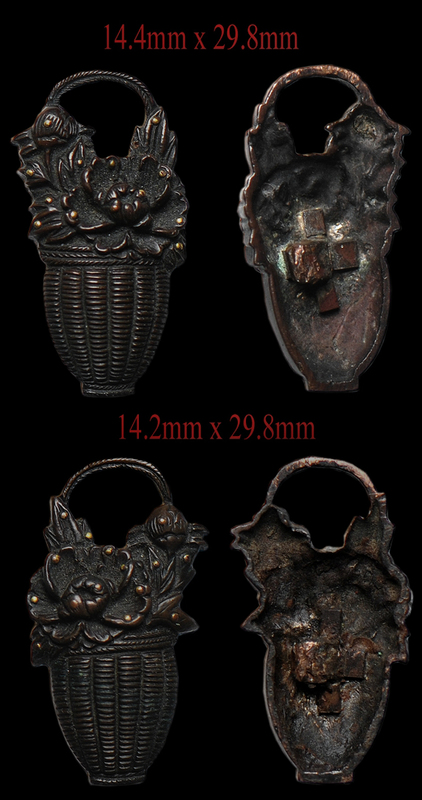 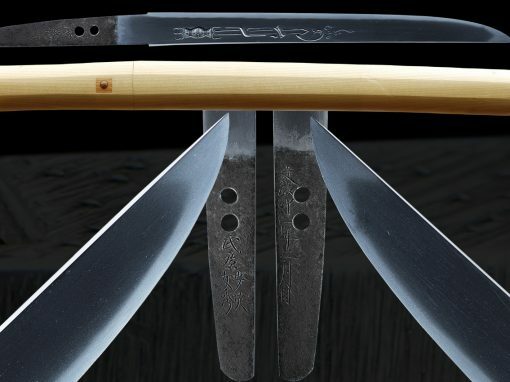 This is a very good quality gendaito that is handmade by Akitoku. 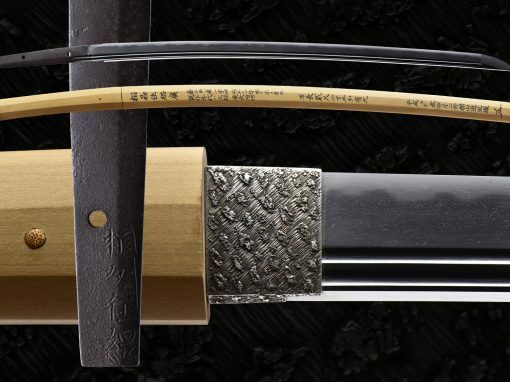 It is a signed and dated katana the shows quality work in the blade. 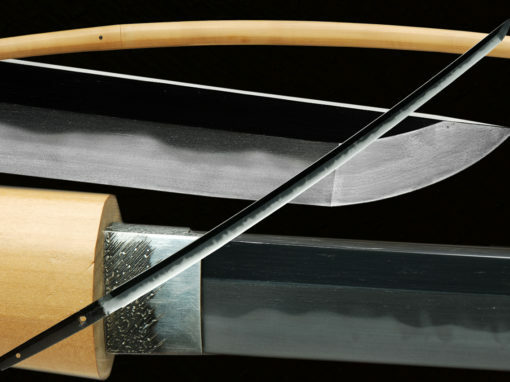 The hamon is gunome/midare with many hataraki. 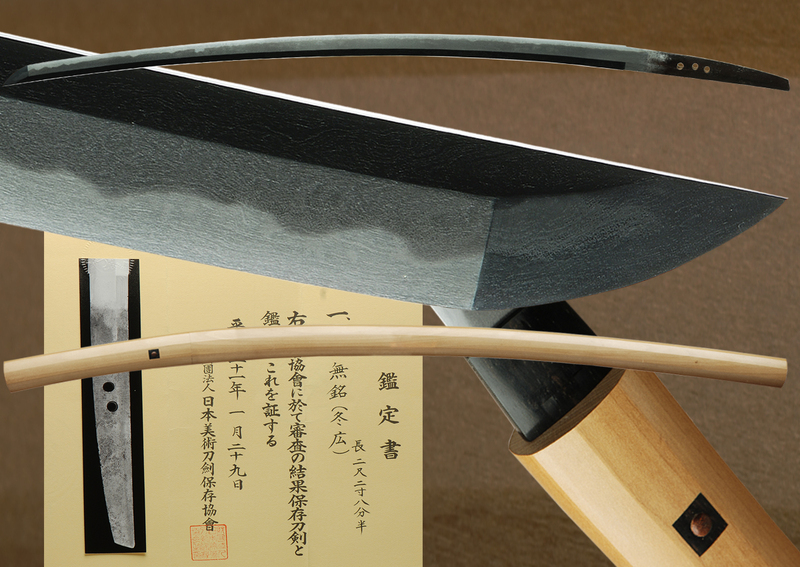 The hamon is nie/nioi mixed and has an elegant feel to it. 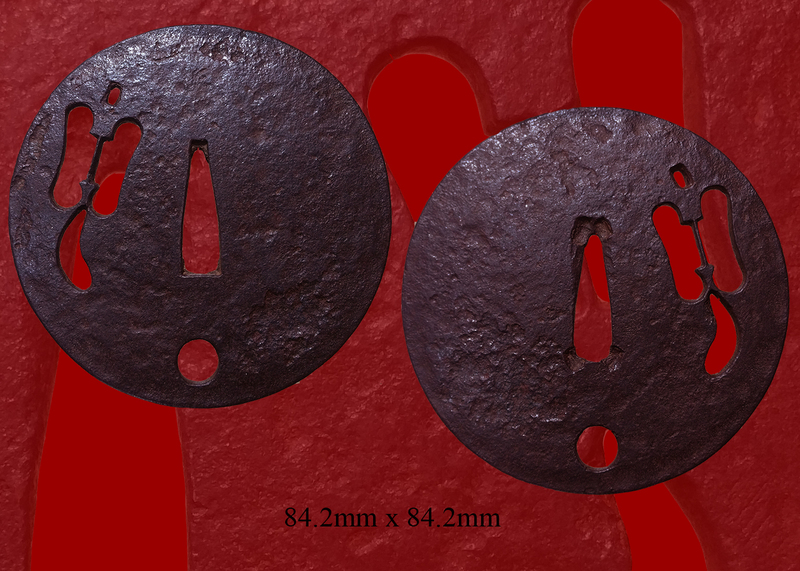 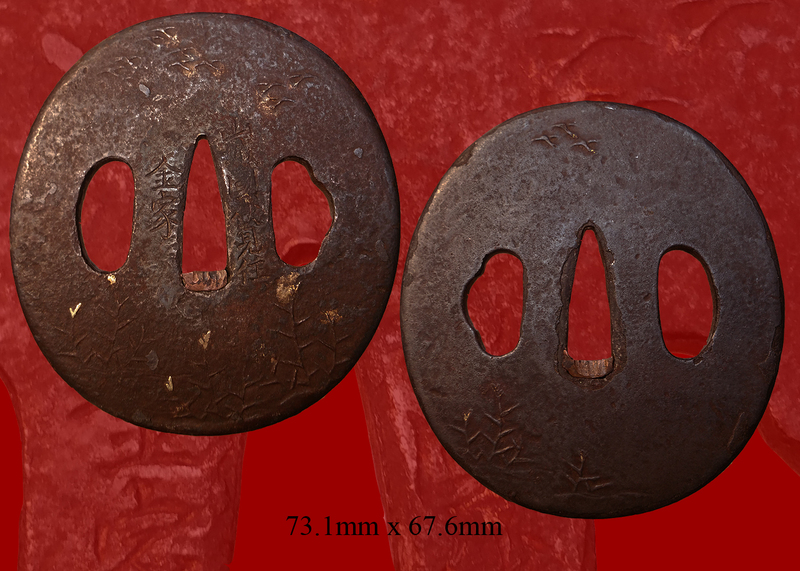 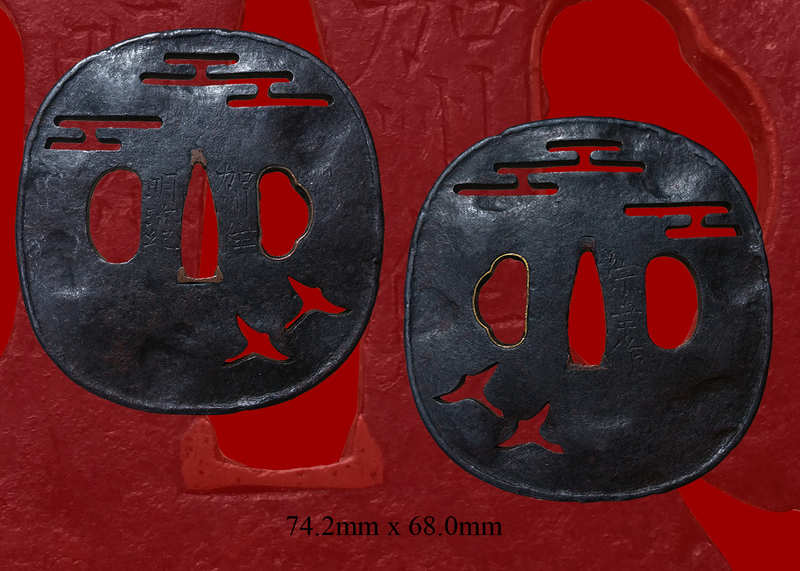 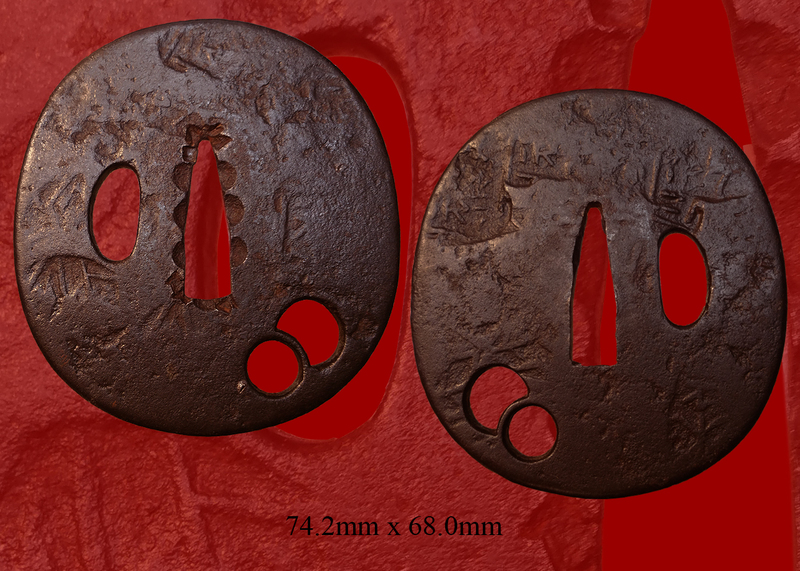 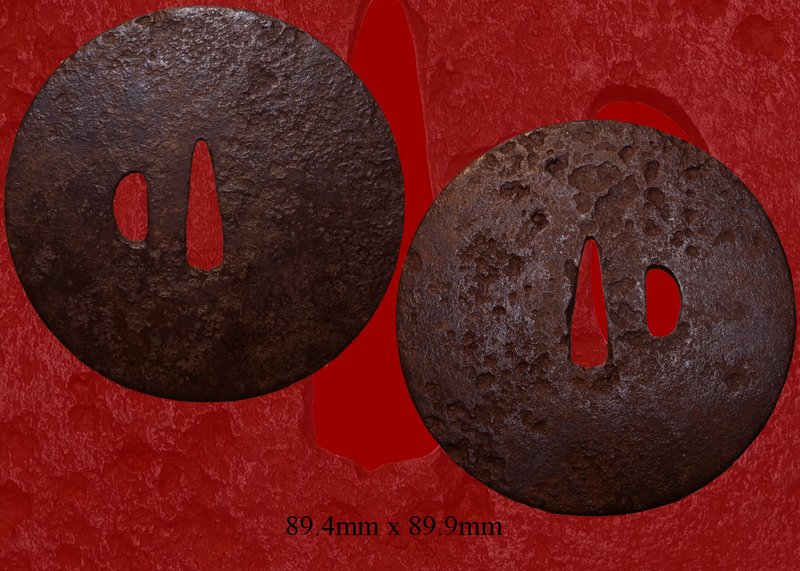 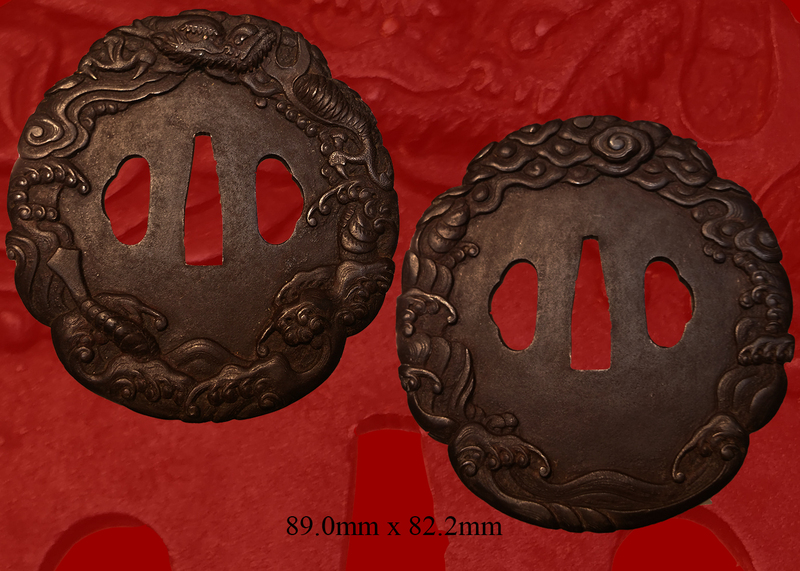 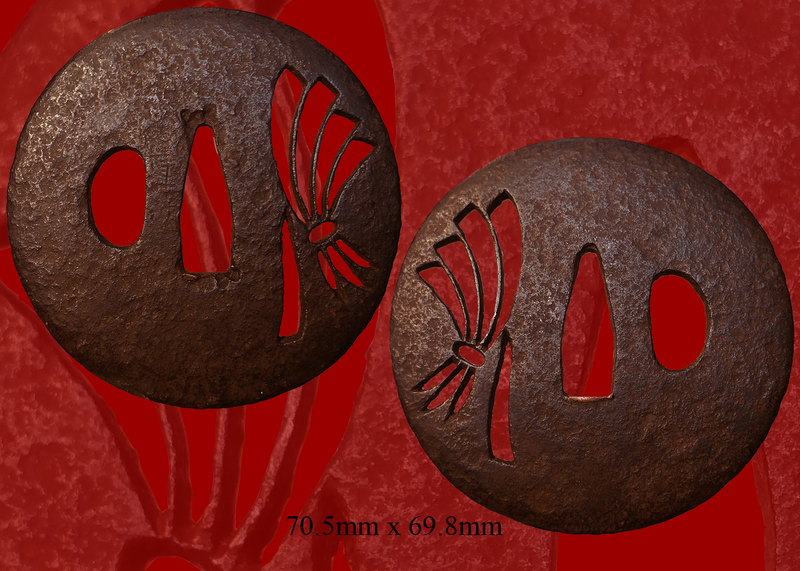 The hada is also well forged and has a even and has a milky appearance to it with solid fine activity. 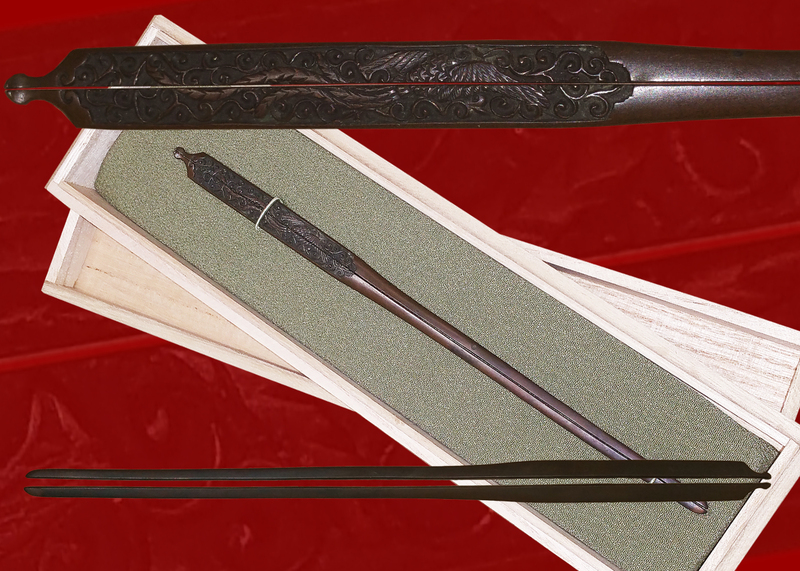 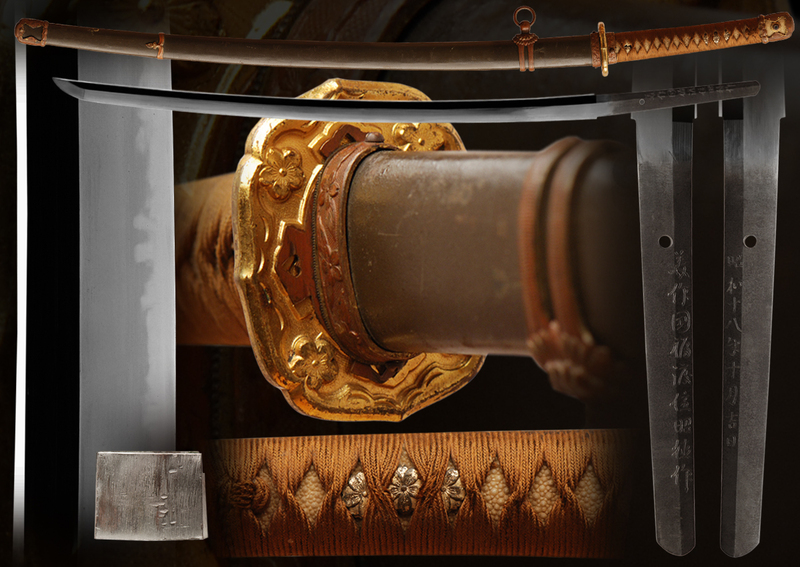 The showa era produced many swordsmiths that produced many different qualities of katana for the war effort. 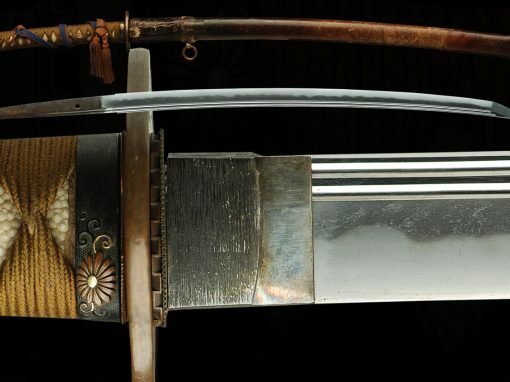 Most swords that war made were military swords and were mass-produced. 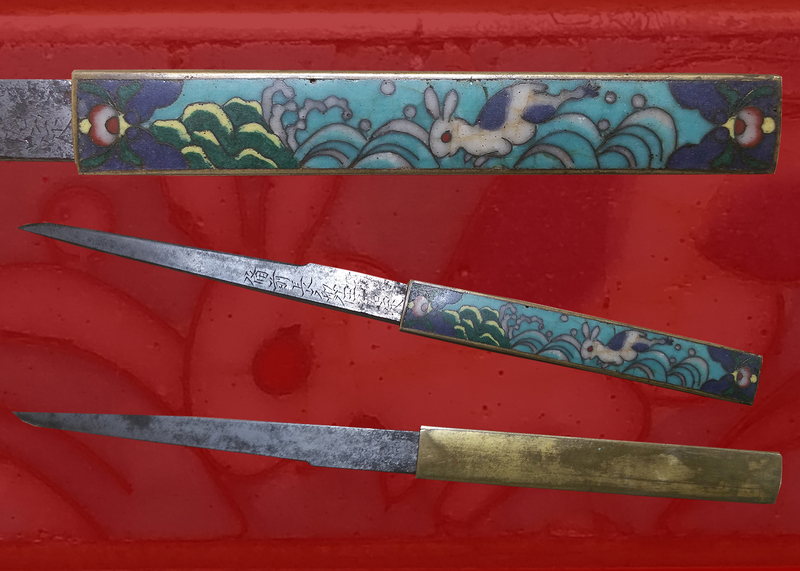 They were tempered in oil and not forged traditionally. 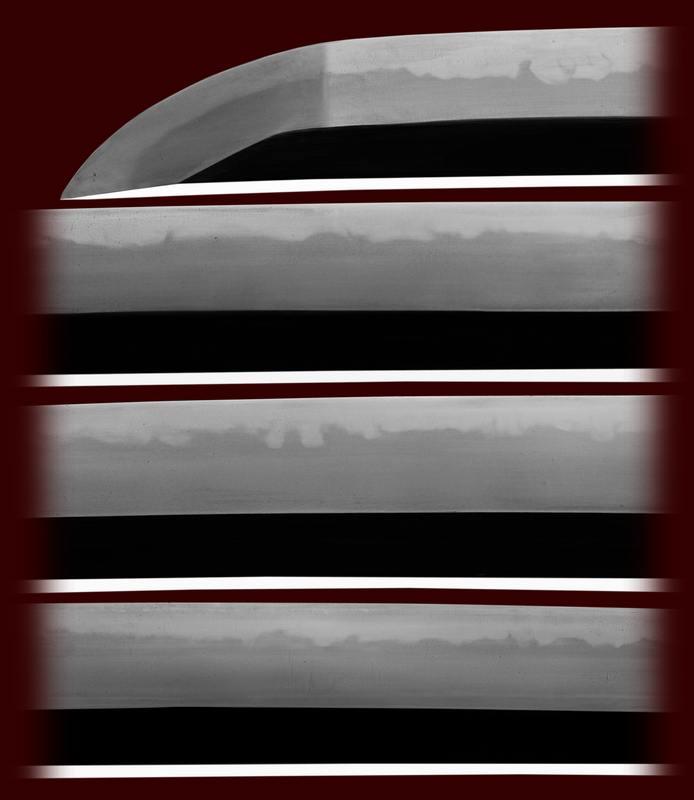 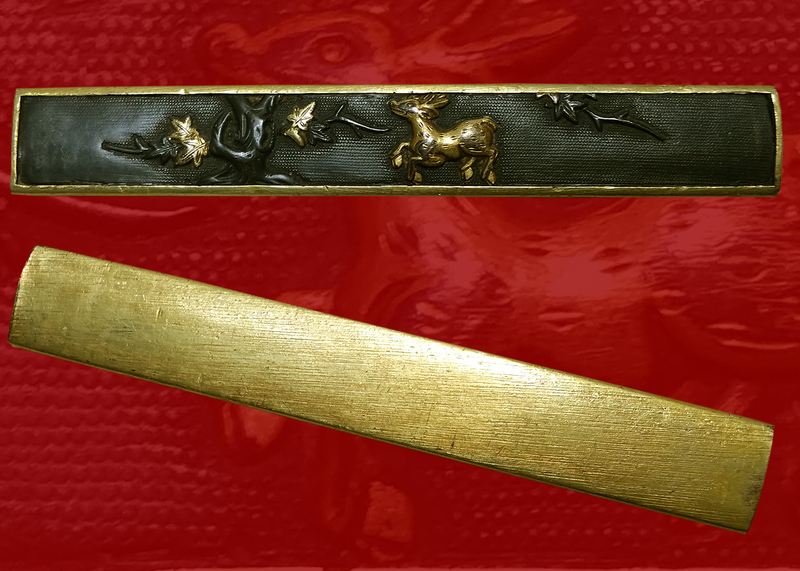 These swords are commonly sold in military mounts like this sword. 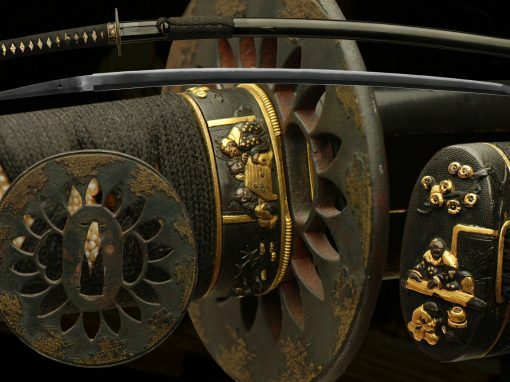 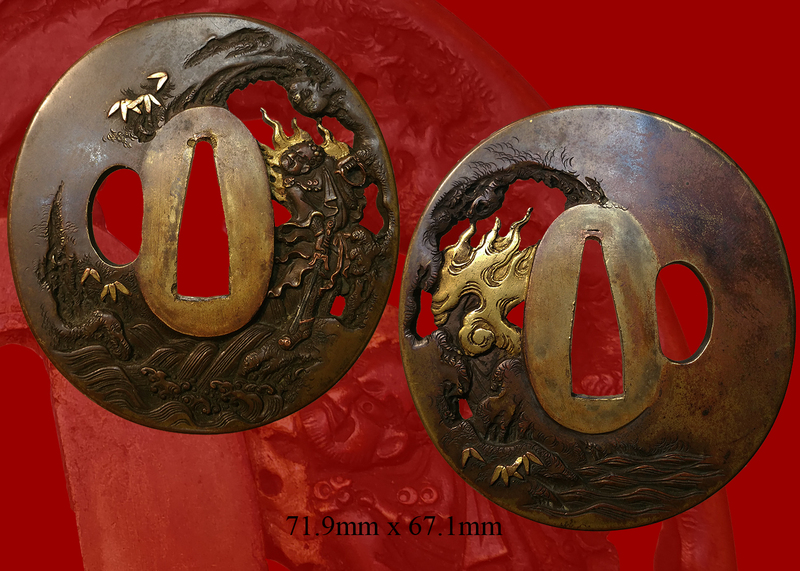 The difference is that this sword is made in the older traditional fashion. 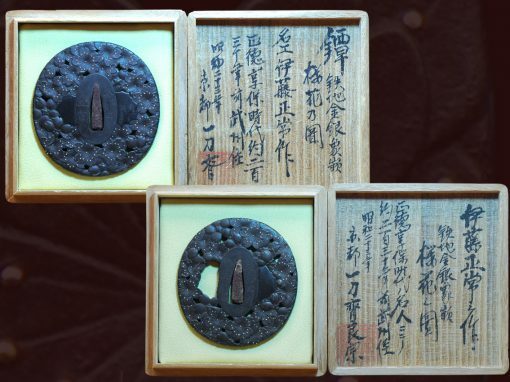 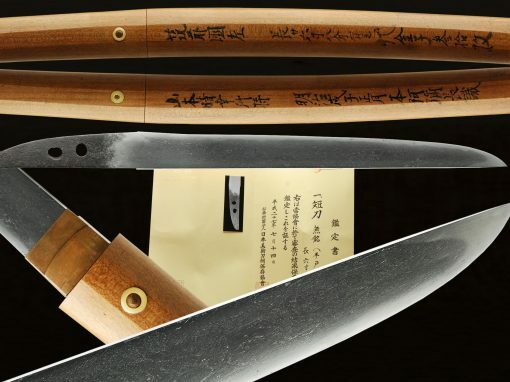 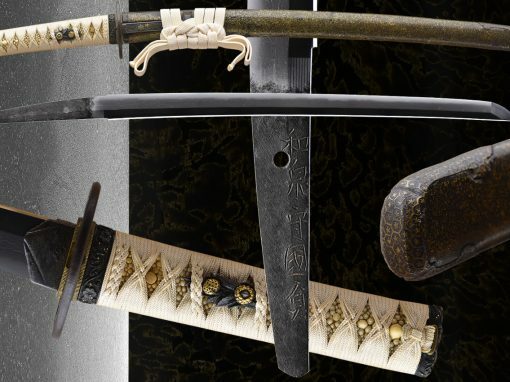 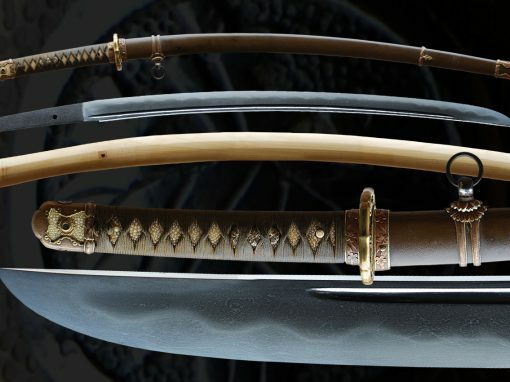 In the showa era or lets say during WWII there were a few traditional smiths that were producing hand forged traditional swords for higher ranked officers and more important individuals that wanted higher quality swords. 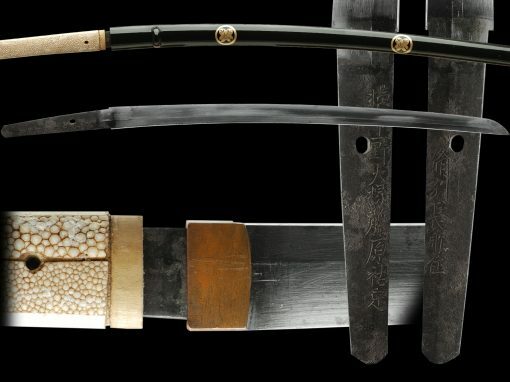 These swords were hand forged using traditional tamahagane steel and tempered in water not oil. 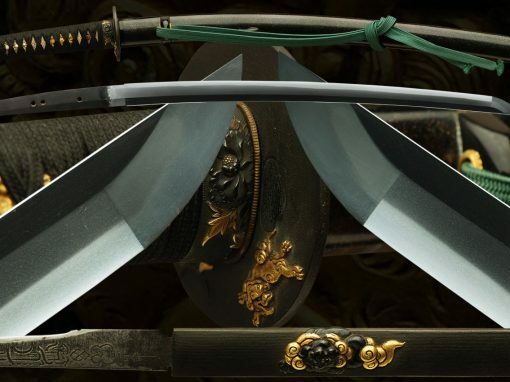 Oil is safer and easier than water to temper swords. 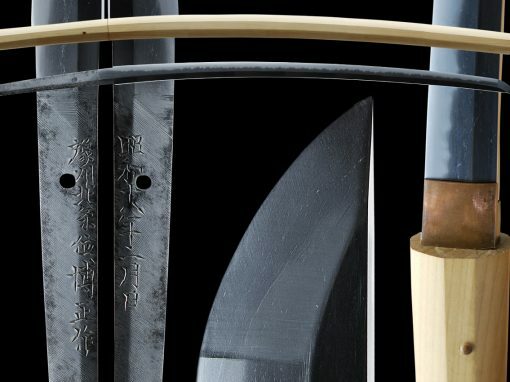 Tempering a sword in water requires much more skill and knowledge. 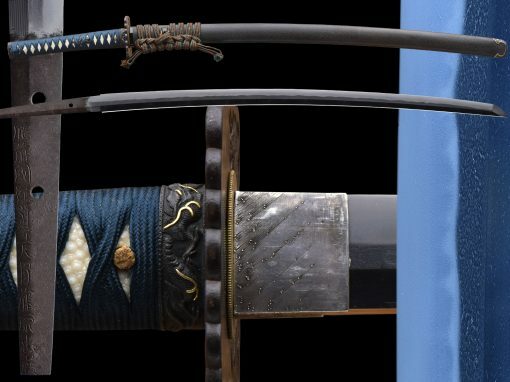 This is a what makes this sword different from a mass produced sword from the showa era. 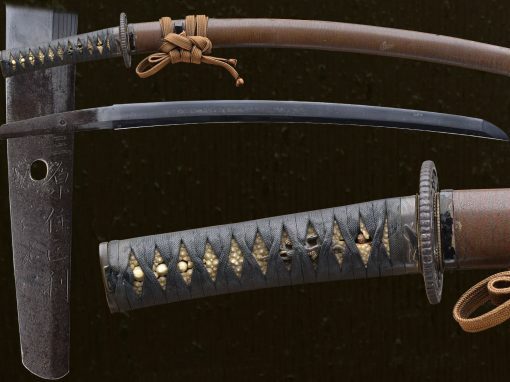 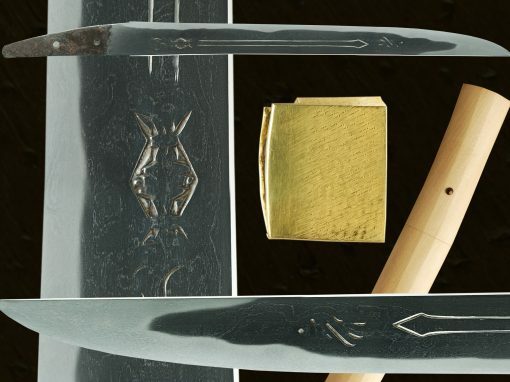 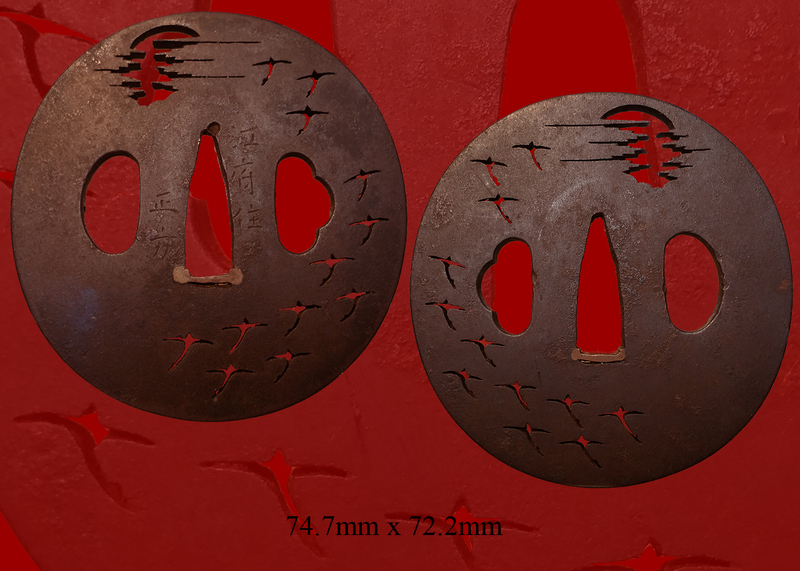 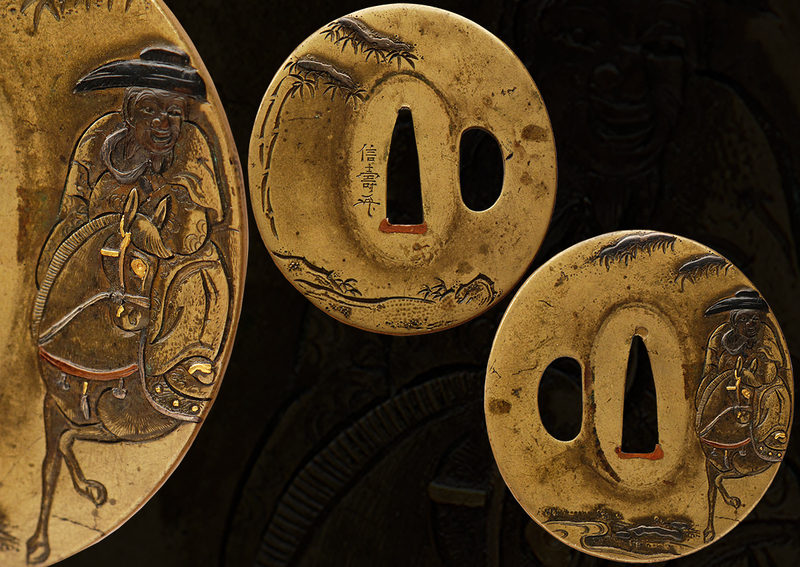 Also, the mounts on this sword is very good and the tsuba/guard is pierced. 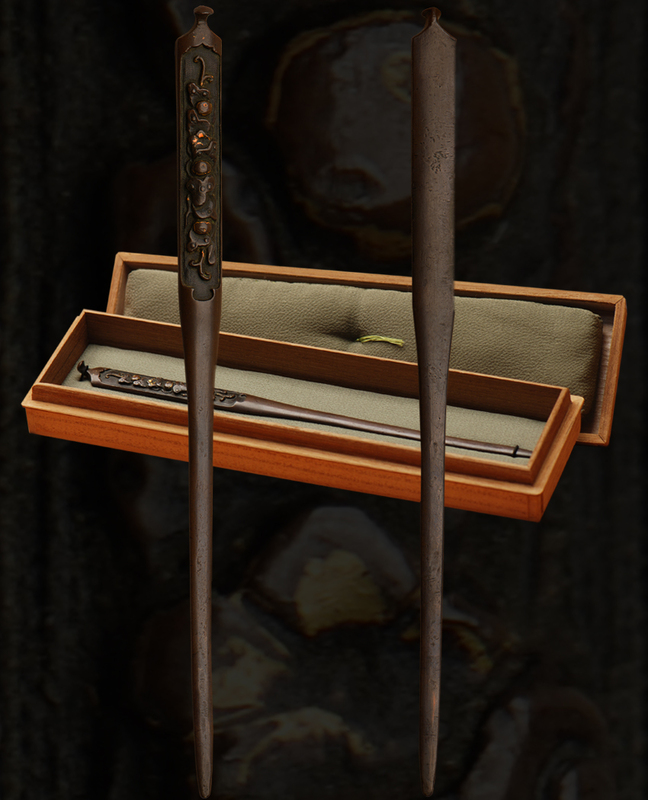 These mounts are better than average. 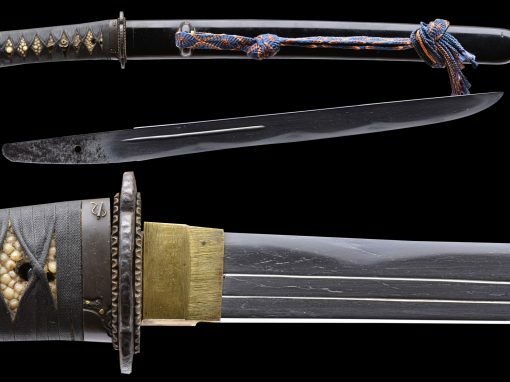 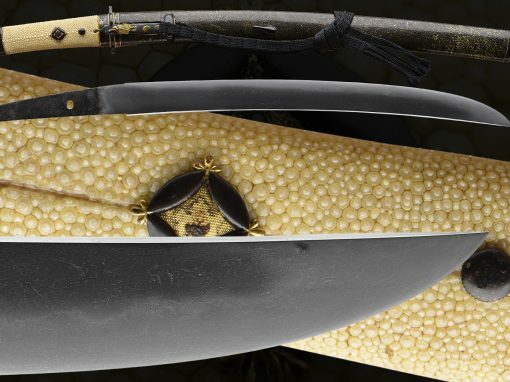 This is a very high quality WWII hand forged katana. 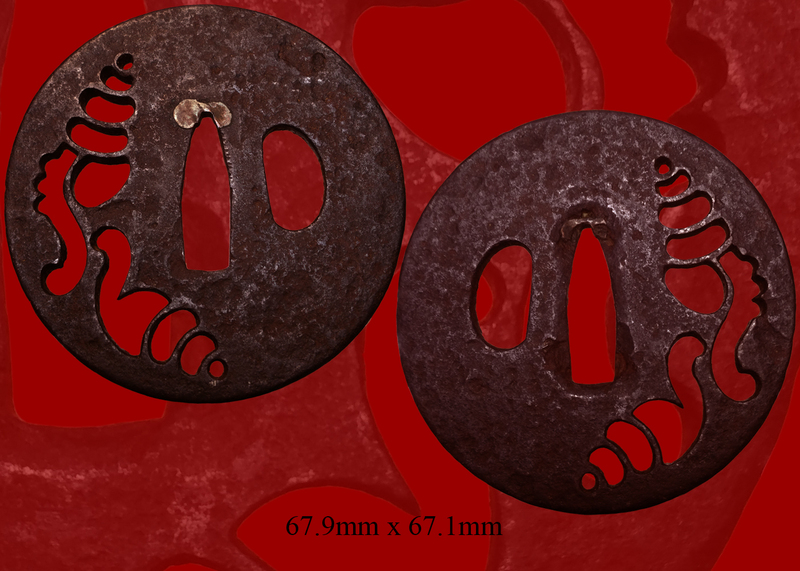 Email us if your interested in this item and remember to include the order number for this item: fss-639. 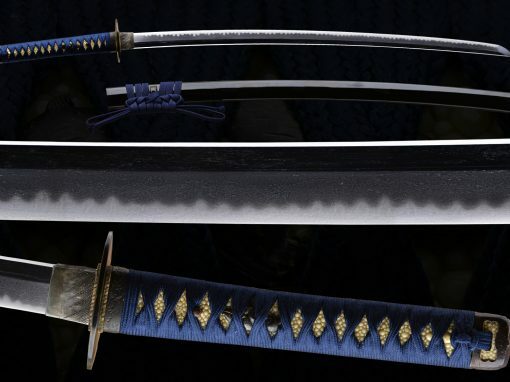 Owner needs $1200-$1500 for it.